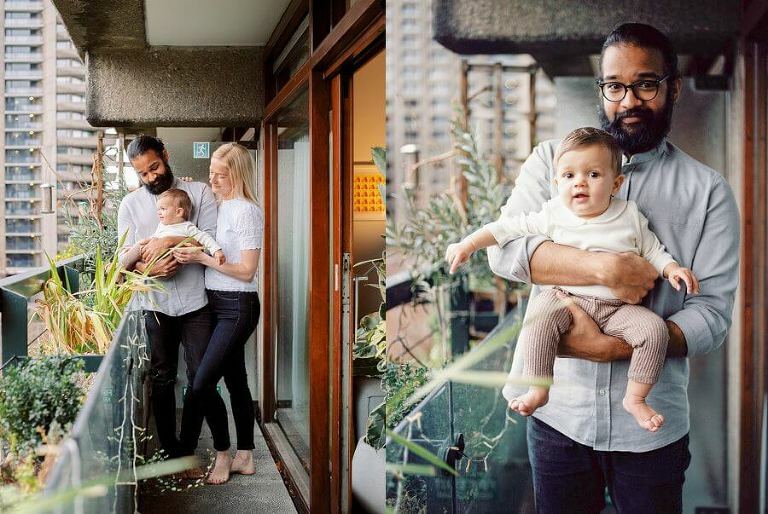 For this London Family Photography shoot the family really wanted their home in the Barbican to play an important part in the images, from their incredibly well styled interior (that’s what happen’s when you get to photograph architects!) to the striking architecture of the estate. It was such a fun adventure shooting this sweet, funny and welcoming family – I even got a mini tour of the area! A few things I learnt from this shoot: I absolutely adore shooting families through windows! it just adds another level of interest to the images. I equally love photographing families surrounded by all the plants! 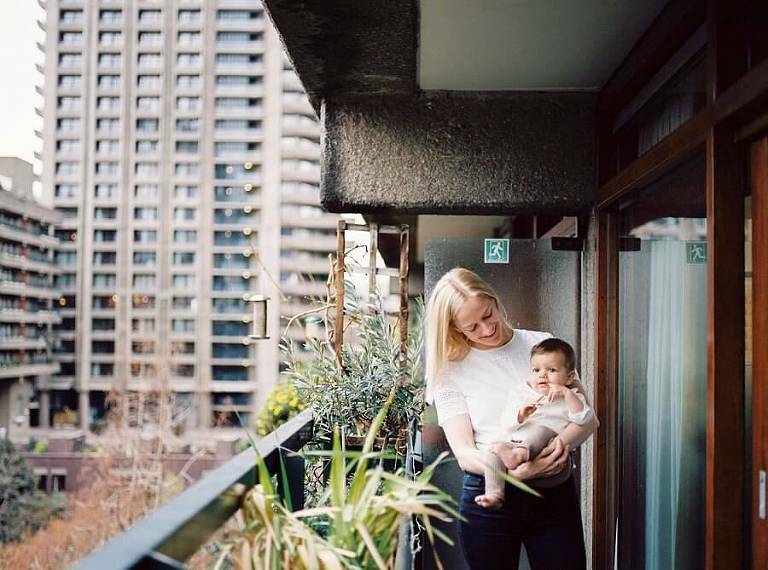 And, I must visit more iconic areas of this city, I have been living in London for six years and this was my first time to the Barbican! 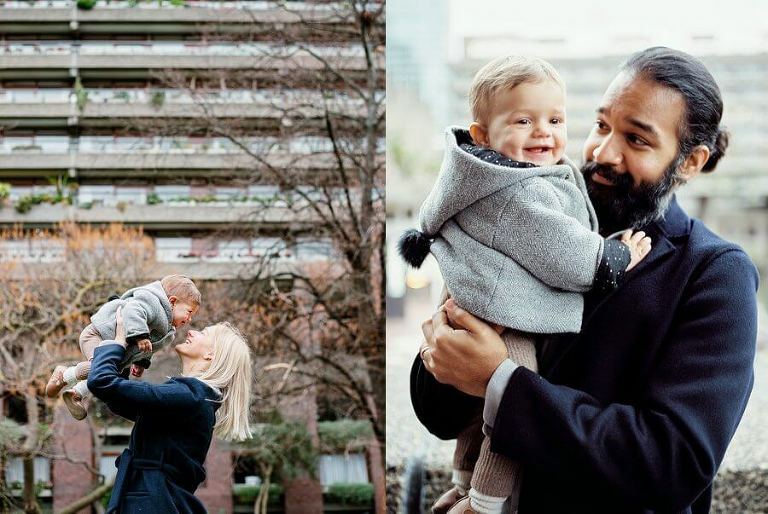 So, more Barbican family photography please. Well more urban family photography, as I love incorporating some more of the edgier side of the city into my images. 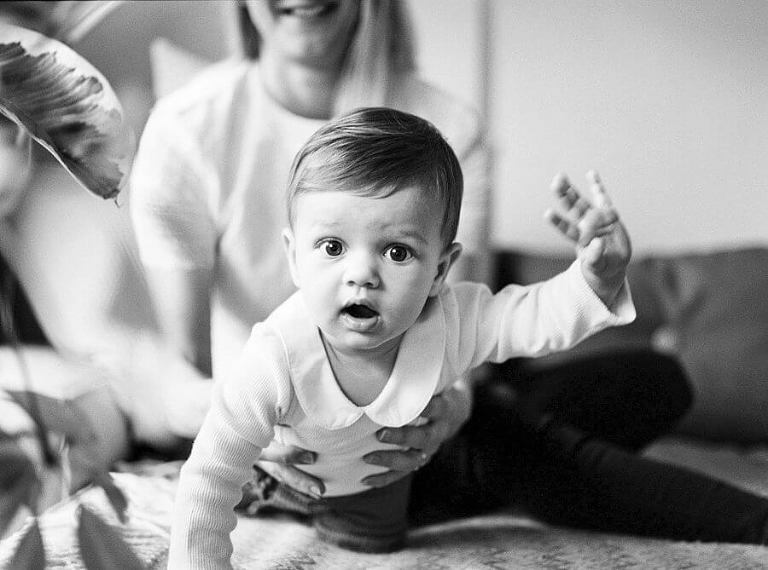 If you’ve not yet seen, I have my Spring Family Mini Shoots open for bookings! Mini’s are just what they say on the tin – short family shoots! They happen over one day only and must be booked in advance. You can find all the information and booking details over here: West London Spring Family Mini’s.